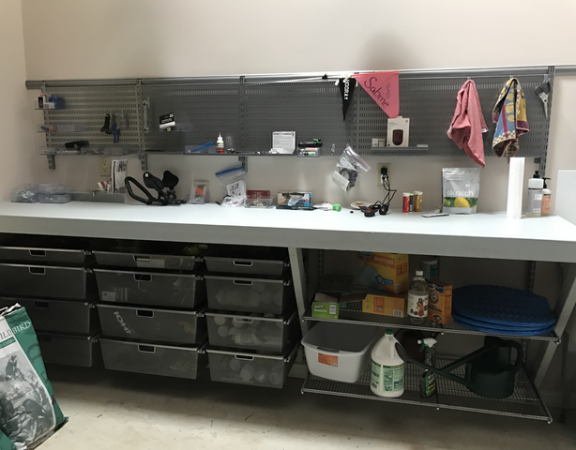 This client has a landscaping business is an avid dirt bike rider and mechanic. 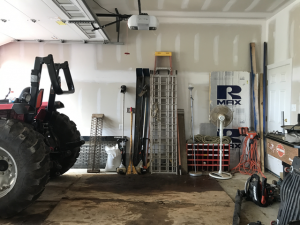 On this wall there were ladders and ramps for loading bikes into a trailer. 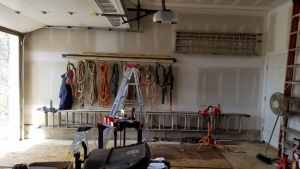 We mounted the ladders and the ramps onto the wall and had our handyman (Mark Brogan) add a rack so we could hang ropes and other hanging things used in landscaping. 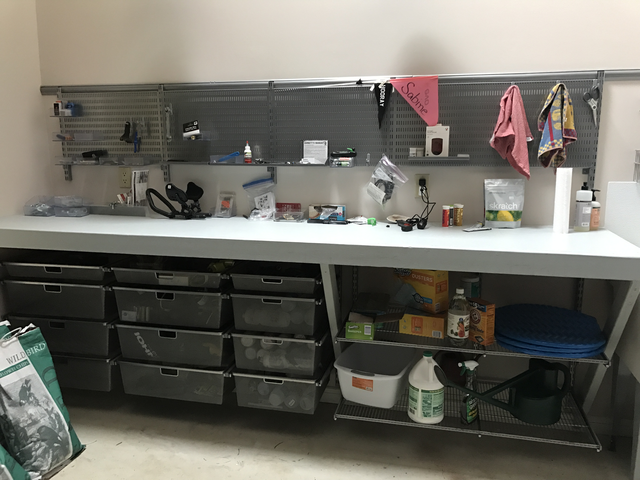 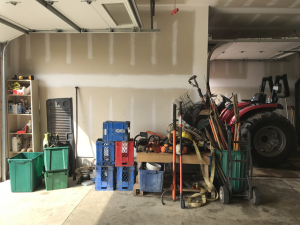 On the opposite wall, the client attached a double pallet to the wall so that we could put all of the rakes and shovels we wanted it to be easy for him to put them into the rack after he was done with them and make it easy for him to grab what he needed. 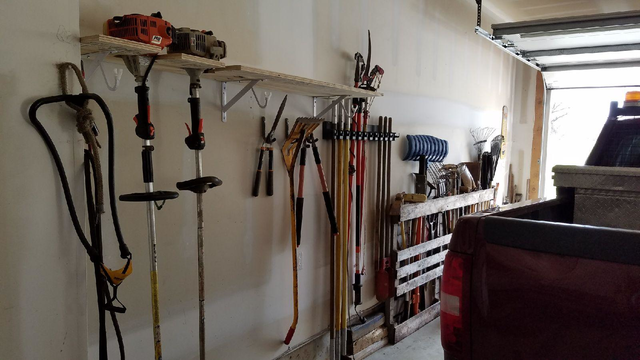 Mark added a rack to the wall for the pole saws and clippers. 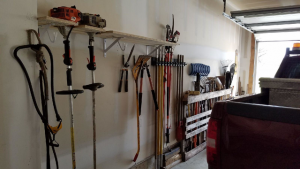 Finally on this wall Mark added a shelf that the client could just slide his weed whackers into then he was done and added some hooks for the other tools.